This page contains the information on the Cinema Ticket prize in Macca’s Monopoly New Zealand 2016! Each Cinema Ticket e-Voucher prize is valued at up to $21.00. To claim Cinema Ticket e-Voucher prize, winners must enter their Unique Prize Code on the promotional partner website at www.mytlcrewards.com/maccasplaycinemaonenz. Upon entering the Unique Prize Code on the Promotional Partner Website, winners will be required to enter their personal information and choose their preferred cinema in the manner required. Cinema Ticket e-Vouchers will be sent via email. The participating cinemas are those listed on the Promotional Partner Website. Cinema Ticket e-Vouchers are valid for standard 2D cinema screenings excluding all other special screenings until voucher expiry no less than three (3) months from the date of issue to each winner and may be used on any day of the week excluding after 5pm on Saturdays at some participating cinemas only. 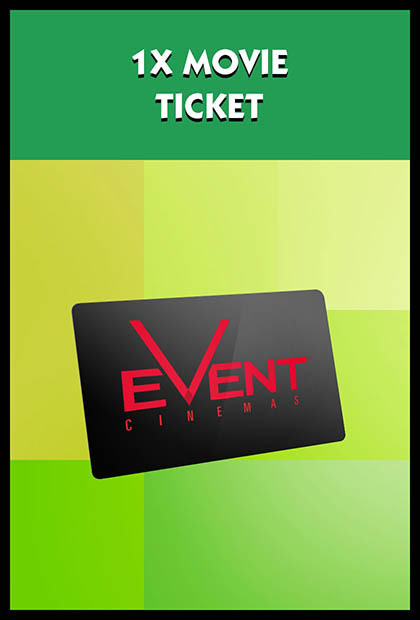 Cinema Ticket e-Vouchers can only be used at one (1) of the participating cinemas. A surcharge applies for 3D presentations (except at Reading cinemas where a voucher cannot be used as part payment for 3D). The surcharge will be payable at the relevant cinema and is payable on each individual cinema ticket voucher and is not part of this prize. The final date to claim a Cinema Ticket e-Voucher prize via the Promotional Partner Website is 31/5/17.